The Department considers stranded motorists a matter of priority due to associated dangers. Stranded motorists can cause dangerous traffic related incidents. 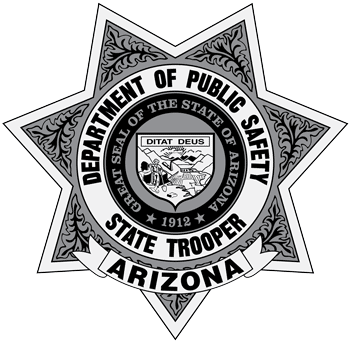 If you become stranded or observe someone who is stopped on a highway, please call 911 to report it to AZDPS. In 2016, we assisted 92,982 stranded motorists throughout the state by getting them back on the road or by helping them make safe alternative arrangements. Although our troopers help a large number of those motorists in need, it is the Department’s civilian Roadside Motorist Assistants (RMA) that are specialized in caring for stranded motorists. Motorist Assistants are non-law enforcement agents that are deployed state wide in large utility work trucks with the tools and equipment needed to make minor repairs, tire/wheel changes, provide some fuel, provide short rides off the roadway or call a tow service for those in need. Special assignments i.e., traffic control for presidential motorcade and other event. It was through cooperation and sponsorship from the American Automobile Association (AAA) of Arizona and the Maricopa County Association of Governments (MAG), that the RMA program was started.